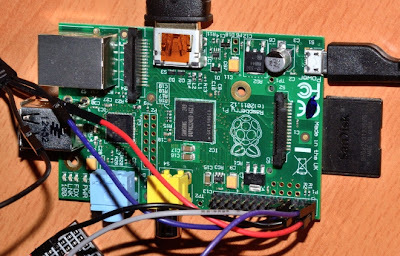 After I got this nice project running successfuly, I decided to write in a blog sufficient information to help beginners with Raspeberry Pi to become familiar with its hardware and software. There are already so many articles on the Web doing more or less the same thing .... but why not again and probably differently! 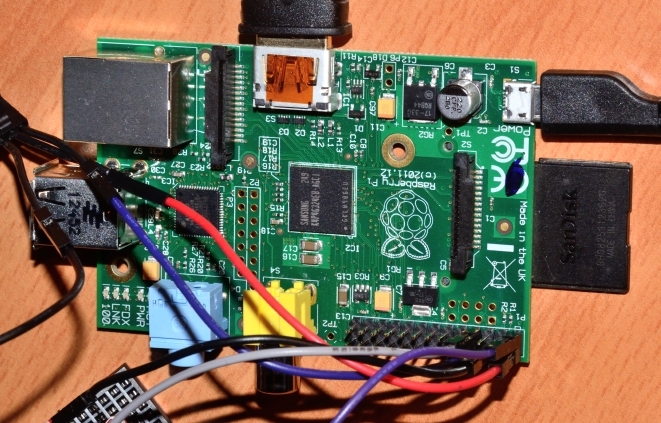 The idea is also for the author to collect all possible information in order to be able for him, or other interested "players of this Rasperry Pi game", to find out the essential! 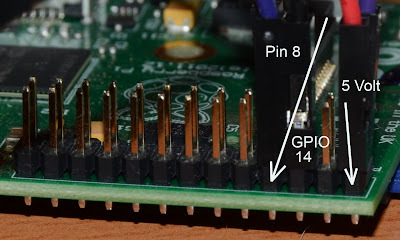 correspond to the BCM GPIO pin 14 (see the Python code). 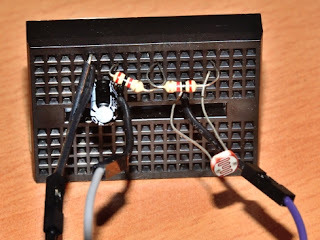 The pin 2 is the 5 Volt required for the relay. This is actually recommended when building a project with different parts. 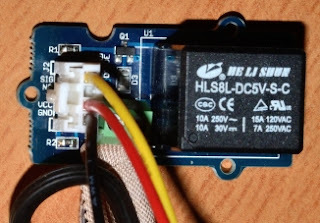 There are many different ways to test this relay. This could be done using C++ or directly accessing the GPIO from a Terminal session. There is no need to copy/paste it here! 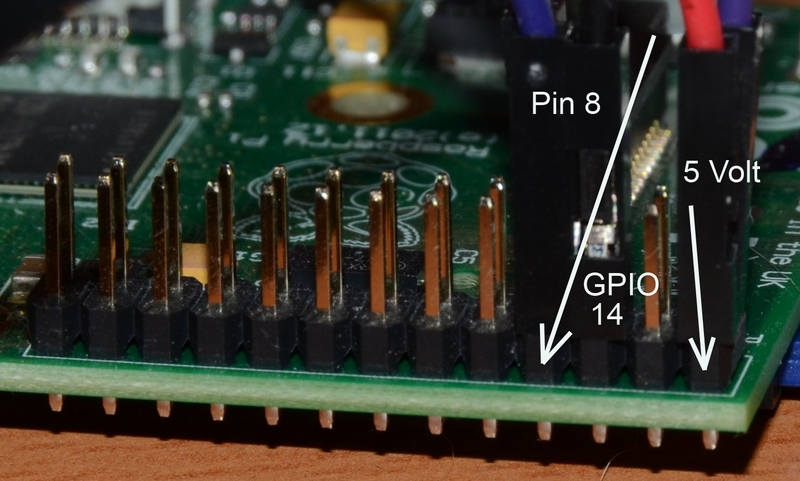 The first pin is the 3.3 Volt and the fourth the GPIO4.